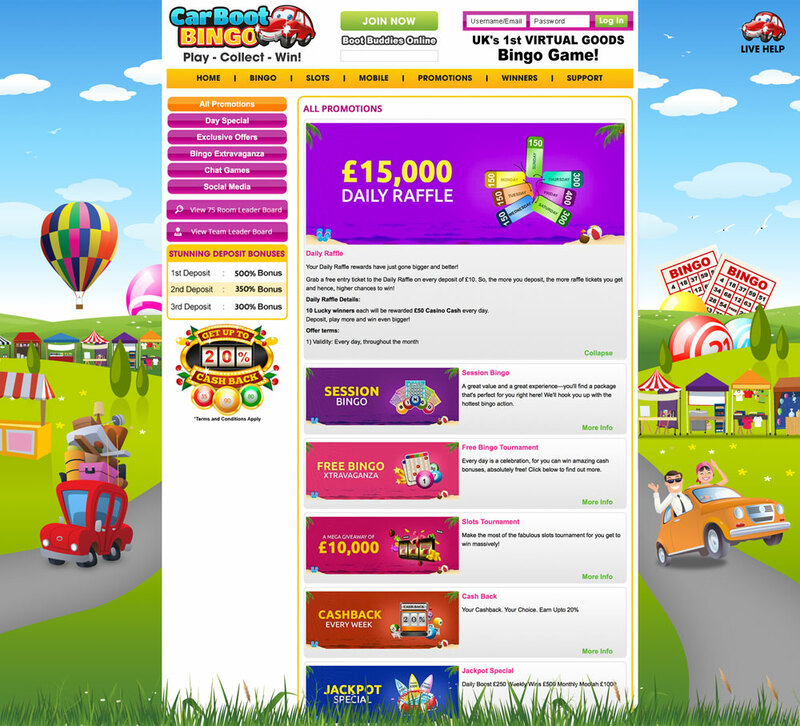 The client had a very clear vision for what they wanted to achieve with the Car Boot Bingo project which meant my role as a designer was to firstly understand their vision and then transfer it to the screen. The logo had to be fun with an easy to read font for older players with a tight layout so easy to see on banners, ad boxes etc. It also had to graphically represent a car boot sale. 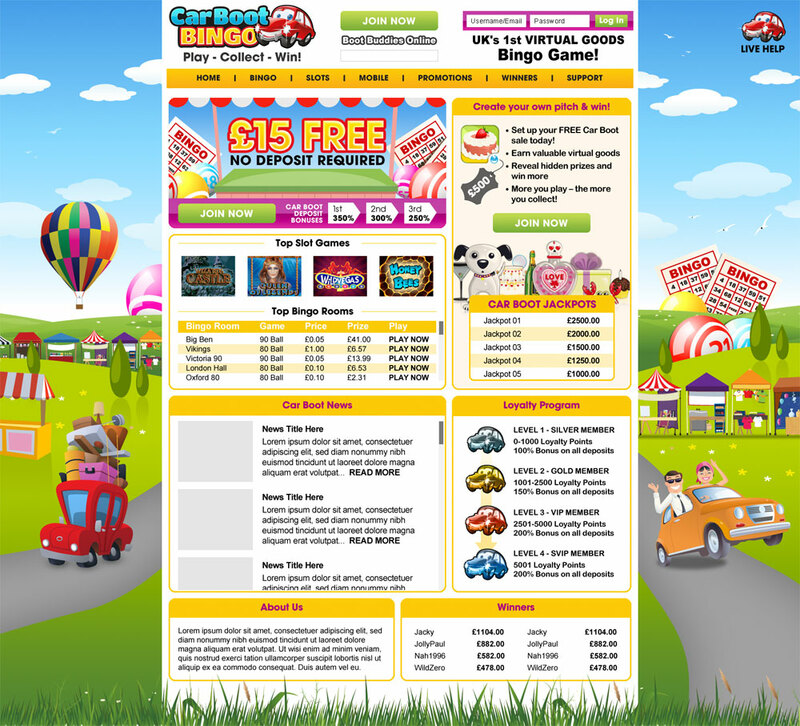 The requirements for the Car Boot Bingo website included a simple user path to drive conversion to free registration, app like design including gold coins, virtual world/goods, compelling content so not just a cookie cutter network skin and lastly a combination of the virtual world with real world car boot images. Bringing all these elements together into a cohesive design was extremely rewarding. A designed a simple yet eye catching text based logo for Bingo Crashers. I provided the client with a wide range of font choices, layout styles and colours choices before arriving at the final logo. Making time for research and development and including it in the budget is essential for a successful project as it gives me time to process and interpret the direction the client wishes to take the design work.